Una Barry is from London of Irish parents and has enjoyed a busy career down the years whereby her extensive repertoire from the baroque to the present day and her outstanding musical ability have enabled her to accept solo engagements and broadcasts all over Britain, Ireland and Continental Europe as well as in Australia, Finland, Hong Kong and Kenya. This repertoire covers the operatic stage with her time at Kent Opera and Scottish Opera in roles such as The Governess in Britten’s The Turn of the Screw, First Lady in Mozart’s The Magic Flute, Aminta in Mozart’s Il Rè Pastore and The Priestess in Gluck’s Iphigenie in Tauris at the Edinburgh International Festival. She also sang the lead role in Alison Cox’s The Time Killing and Brian Hughes’s Stars and Shadows in Manchester. She has also given many song recitals, ranging from Purcell to Messiaen and more contemporary music, but it is now in oratorio for which Una is best known. The Daily Telegraph wrote of her Manchester Midday Concert, “Una Barry possesses a strong, true soprano voice which is the expression of a marked intelligence and a vivid response”. She has sung for Kings College, Cambridge in Bach’s St John Passion, with Pro Cantione Antiqua of London on numerous occasions as their guest soprano in Belgium, Spain and Germany, giving performances of Purcell’s Dido and Aeneas, The Fairy Queen, King Arthur and Handel’s Acis and Galatea. She has also performed in Belgium at the Flanders Festival in Tongeren Basilica Concerts as soloist in performances of Handel’s Athalia as well as Judas Maccabæus in German in Düsseldorf. In Switzerland she gave a series of opera and operetta concerts, and in Finland three critically acclaimed performances of Verdi’s Requiem. Una has sung with the Liverpool Philharmonic Orchestra in Elgar’s The Kingdom, and in Chester Cathedral in Beethoven’s Missa Solemnis where it was said that “her quality of tone resulted in a thrilling performance”, and she also appeared with the Darlington Choral Society to sing Mozart’s Exsultate Jubilate, Poulenc’s Gloria, Beethoven’s Concert Aria: Ah! Perfido, and the first performance of Stuart Johnson’s Requiem. Una also sang Dvorak’s Stabat Mater in Ilkley, Haydn’s The Seasons in Leighton Buzzard, Eton College and Peterborough, Bach’s Cantata 51: Jauchzet Gott with Vivaldi’s Dixit Dominus and Bach’s Mass in B Minor in Southport, Mozart’s Requiem and Haydn’s Nelson Mass in Formby, Mendelssohn’s Elijah in Chester Cathedral and Karl Jenkins’s The Armed Man: A Mass for Peace and Rutter’s Mass of the Children with the Peterborough Choral Society. There was a lunchtime recital of Strauss and Britten in New York as well as song recitals in Belgium, London and Colchester with her pianist John Gough from Chester. Most recently Una gave performances of Verdi’s Requiem in both Hull and in Chester Cathedral, and then Rutter’s Requiem and Chilcott’s Requiem with the Hong Kong Choir and Chamber Orchestra in St John's Cathedral as well as a song recital with David Knowles for the Red Square Gallery plus two live radio interviews for RTHK's Radio 3 and Radio 4, all in Hong Kong. She also sang Bach's St Matthew Passion in St Margaret's Church, Ilkley in West Yorkshire, after which she was invited back to Yorkshire to sing Mendelssohn's Elijah, Mozart's Coronation Mass and Chilcott's Requiem. In July 2012, Una was the soprano soloist in Ely Cathedral in Elgar's Coronation Ode in a concert to celebrate the Queen's Jubilee. Engagements have also included Elgar's The Apostles in St Andrew's Hall, Norwich, Langlais' Missa in Simplicitate for opera singer and organ, and Handel's Messiah for the Ilkley Choral Society. She gave a recital of European Sacred Music for soprano and organ at St Mary’s Hemel Hempstead, Verdi’s Requiem in Malvern, Mendelssohn’s Hear My Prayer, Ps 95 and the Schubert Mass in E flat in Colwyn Bay, and Mendelssohn’s Elijah in Wakefield Cathedral with the Yorkshire Philharmonic Choir and Orchestra. Una also travelled to Salzburg for Chilcott's Requiem, Mozart's Solemn Vespers and Haydn's Little Organ Mass. In the meantime, there were two performances of Hendrix Andriessen’s Miroir de Peine for soprano with the international organist, Benjamin Saunders, first in Bradford Cathedral and then in Leeds Cathedral. Coming up are two shared recitals of Max Reger songs with international organist and pianist Graham Barber at the University of Leeds, and then repeated in Bradford Cathedral in the Autumn. Una studied initially with Eileen Poulter and then won a post-graduate scholarship to the Royal Northern College of Music, Manchester to study with Ena Mitchell, Pamela Cook and Alexander Young. There were valuable periods of study with some of the best teachers in London, Salzburg and Cologne and all through her career she received regular coaching from Paul Hamburger in London until his death in 2002. There were also short periods of study in Bayreuth with Anna Reynolds and Jean Cox who encouraged Una to delve into the more dramatic operatic repertoire of Beethoven, Verdi, Puccini and Wagner whilst keeping her usual lyric and oratorio repertoire. This enabled her to sing the part of Aida in a concert performance of Verdi’s Aida in London, directed by Victor Morris, formerly the Head of Music at English National Opera. Una has also had short periods of study with David Jones in New York, and has actively participated in his teacher training development courses and seminars for singing teachers, both in New York and London - the last being in New York in June 2017 with a further visit in 2018. But for twenty years Una studied regularly with Josephine Veasey. With a recent move to live in West Yorkshire, Una now studies with the retired international baritone, very successful teacher and vocal researcher, Neil Howlett. 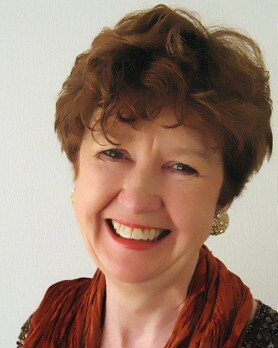 She teaches singing privately in London and in Ilkley, is a member of The Association of Teachers of Singing (AOTOS), the Incorporated Society of Musicians (ISM) and is also becoming increasingly known as an adjudicator and an examiner. Most recently Una was the adjudicator for the singers division at the prestigious Limerick Music Festival (Féile Luimní) in Ireland. Una Barry's rich, dark toned 'in memoriam aeterna' could have been a love song from Rusalka itself. This was an elating realisation. Miss Barry's quality of tone resulted in a thrilling performance. Una Barry is a soprano with a voice that has great beauty and is dramatic in quality and colour. Una Barry's interpretation showed such a range of vocal and emotional expression, revealing a great depth of understanding. Una Barry was electrifying in her final unaccompanied soprano lines. Una Barry was impressive with her full expressive soprano voice, additionally through which she was able to produce a darker mezzo quality in the lower register. Una Barry sang in a very well balanced way without being self-indulgent. Her interpretation was very clear, straightforward as well as being extremely sensitive.